A fresh new form of church government which is actually 2,000 years old. This book explains in great detail, the roles and functions of each member of the five-fold ministry team and how to plan, implement and monitor the effective operation of these ministries in the church. This should be required reading for all students of theology, ministry, and missions. Only one gift list in the New Testament attaches a promised result! It is truly interesting to me that of all the various lists of gifts given in the New Testament, only one of them includes a promise concerning what will happen if you utilize the gifts in the list. That list is found in Ephesians 4:7-11 and the promise is that we can come to maturity (Eph. 4:13) by honoring the counsel and input from a multi-gifted team of people with five different heart motivations. By making sure you have input from several people who demonstrate the heart motivations which underlie the five-fold team, you make better decisions and you succeed more often! The voice which ensures that all of the above voices are heard, honored and flowing together in unison. These voices come from the hearts of the prophet, the pastor, the teacher, the evangelist and the apostle. To learn more about these gifts and how they express themselves in a variety of situations, we recommend that you also study our book Gifted to Succeed. Maximize Your Success by Honoring the Gifts of Those Around You! You will become much more successful by learning to surround yourself with five-fold teams. When you draw out the input from everyone on your team, you receive a variety of perspectives and a much better overall revelation of how to move forward effectively in whatever area you are pursuing. 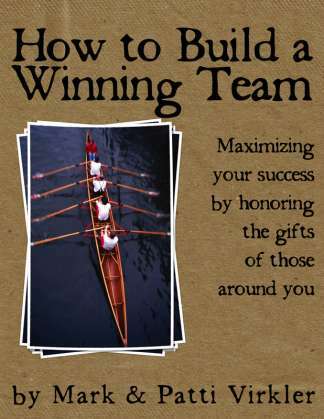 The DVD and CD share the key idea of the How to Build a Winning Team book. For maximum growth and internalization, we recommend utilizing the book and CD/DVD set. For even greater results, draw together some friends or coworkers into a group to watch the DVD and read and discuss the book. It is 12 chapters long, so you could do one chapter a week for 12 weeks. There are application exercises at the end of each chapter as well as 26 Application Worksheets to be completed which will assist you in applying the principles being discussed. Discuss together the heart motivations of the various people in the group, and begin drawing out the gifts of each person as you make decisions together. (This works for a family, cell group, church leadership team, and company business executives.) 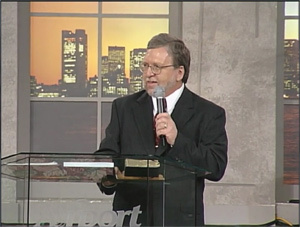 The DVD brings an anointed trainer to your group who shares the heart revelation of a fivefold team of consultants. Your interpersonal sharing gives you instant feedback and confirmation that you truly are beginning to function as a team! An unbeatable combination. Our Unique Gifts Make Winning Teams Package adds the book Gifted to Succeed to the How to Build Winning Teams Package. 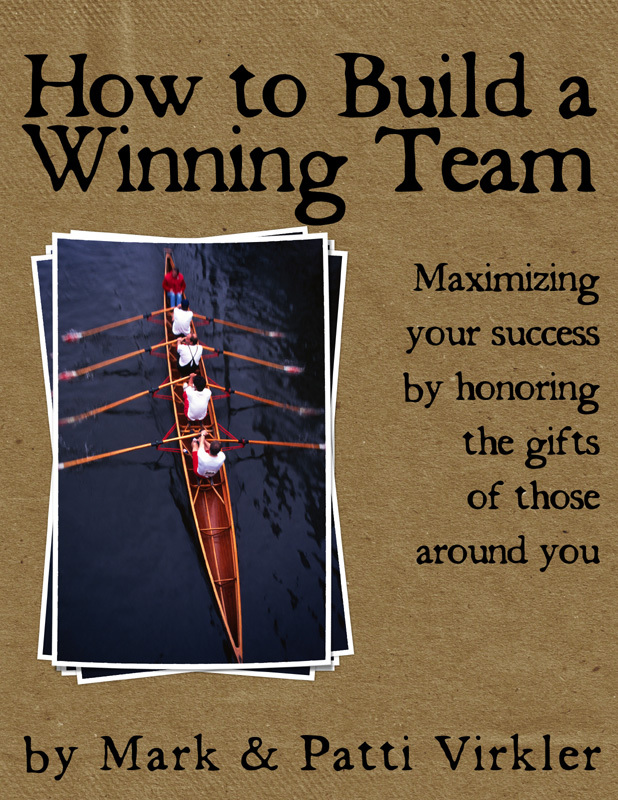 This book provides a foundation which you will want as you seek to create winning teams, so we highly recommend you order the package Unique Gifts Make Winning Teams if you don't already own Gifted to Succeed. This way you will have all the tools necessary to fully succeed in internalizing this message. 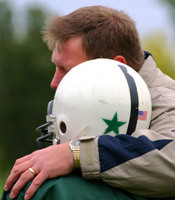 How to Build Winning Teams was formerly titled Dynamic Fivefold Team Ministry. An extremely Practical training series teaching you how to implement effective team decision-making! God placed "elders" over every church, which indicates God's vision for team leadership. A multi-gifted well-functioning team outperforms an individual. You are more likely to succeed when you incorporate wise multi-gifted counsel. Discusses the five heart motivations God recommends in wise decision-making. You discover what kinds of individuals you should surround yourself with. You learn how to seek out and incorporate multi-gifted counsel. You discover the positive aspects of disagreements. You learn effective communication skills. Providing quick review and instant reminders of key things to do in each situation. You become aware of the strengths and weaknesses of each leadership style. You choose God's leadership style over man's. The reason I'm writing, Mark, is to congratulate you for your excellent work in the “Fivefold Ministry Summary.” This is not only brilliant, but it is extremely useful…. I would expect that you will see it popping up all over the place since there is nothing else like it. 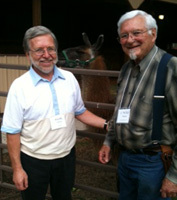 The Virkler Grid could end up being a standard tool for the whole apostolic movement in years to come. Your Winning Team CARD - keep it on your desk! This 5.5 X 8.5 inch card is a simple reminder to know and look to several people God has provided you who together comprise the five heart motivations which underlie the five-fold team God speaks about in Ephesians 4:7-11. This last week I ordered a bunch of the material from your catalog. I am devouring them!! I have been having a truly WOW experience all week. The BEST was my encounter with the How to Build a Winning Team book. For years I have felt like a crazy person because I have perceived in my spirit that the Lord had something different in His Heart and Mind concerning how the Body is to function...Your book confirmed all that I have had in my heart for years. I really consider this week of my life to be a major deliverance because now I know that I am not crazy. I believe that there are sooo many of the body members that are suffering because they feel that something just isn't right, but are shamed into believing it is their problem. I feel that the magnitude of this problem is very similar to when Martin Luther was raised up to bring deliverance to the Lord's people. I am praying for your voice and the voice of others to be heard so that the people can be free and the Lord's heart and mind will be manifest in His Church. I believe that it is time for another "95 Theses" to be nailed to the door.